"Birth is not only about making babies. Birth is about making mothers. Working with Kimberly was the best decision we made regarding our son's birth. She is a dream doula! She is kind, perceptive, strong and skilled, and she made a world of difference at the birth and after. From the first prenatal consultation to our last postpartum consultation she was consistently there, consistently attuned, and consistently providing insight we couldn't find elsewhere. I would work with her again in a heartbeat. When I first met Kimberly, I loved her professional, grounded and caring vibe right away. Plus, she was a Hypno-doula and I was practicing Hypnobabies at home! When the birthing time came, and Kimberly stepped in the room, the whole atmosphere changed. My husband relaxed, I relaxed and things started smoothing out. She coached me and guided me with my hypnosis and breathing. That helped us greatly. At a certain point in the birth, I wanted to get an epidural. Because Kimberly was familiar with my birth plan and values, we talked it through at the decision point, and she supported me. I really felt protected by her and impressed with her ability to support each woman and each birth uniquely. She really lives her values and is a person of great integrity. When my husband was exhausted, Kimberly was there. When some nurses were pushy, Kimberly was advocating for me. When I didn't understand something the doctors or nurses were saying, she translated. When it came time for my newborn son to latch and get skin to skin after birth, she helped to coach our bond in the first few minutes. It was wonderful! I'll never forget the feeling of compassion and strength radiating from her. I could not have imagined how much value she would provide. She was an integral part of one of the most beautiful days of my life! She made the difference in the birth! PS: also my husband couldn't do without her too! I cannot begin to tell you how grateful we are for all that you brought to the birth of Liam! You helped us envision the birth we wanted and helped us realize that if everything did not pan out just that way we wanted, it did not mean failure; it was one of the most beautiful days of our lives! Having your support not only with the vision, but during the birth, providing your assistance wherever desired, allowed us to make Liam's coming into the world our only needed focus! You were amazing and I feel so blessed to have had YOU be our Doula! The photographs and slide show to capture the precious moments will be with us forever and cherished. I recommend to any woman whether it's your first or last, to have a Doula! You will be forever grateful! You will not be forgotten. I cannot imagine our birth story without Kimberly at our side. Asking her to attend our homebirth was one of the best decisions we could've made. From our prenatal visits to the the birth itself to our postpartum care, Kimberly radiates compassion, strength, and quiet confidence. She was a supportive and gentle presence and a true birth professional, bring years of experience and wisdom to our birth. She is extremely generous with her time and always made us feel heard and personally cared for. After our son was born, she continued to provide us with invaluable breastfeeding support as we worked through some unexpected challenges. She went out of her way to personally check in with us on a regular basis and offer her encouragement and perspective. After each interaction with Kimberly, we always came away with a sense of deep gratitude for her skill, her devotion to her work, and the sense that she treats her clients like family. I cannot recommend Kimberly enough, both as a doula and as a lactation consultant! We had worked with Kimberly for the birth of our first child and knew that we wanted her to be there for our second. Just as the first time around, we felt so supported at every stage. She checked in frequently leading up to and after the birth, and when I elected mid-labor to veer from my birth plan, she appropriately made sure that it was what I wanted and then was unwaveringly supportive. And when my husband went to the NICU with the baby immediately after delivery, she stayed with me for several hours until I was stabilized and my husband returned. We have been so grateful to have her in our lives and cannot say enough about her excellence as a doula. I am happy to give a glowing recommendation for Kimberly. She was the doula for my second baby, in July 2013. I always tell people to find someone they really click with when it comes to finding a doula. A doula should make you feel calm, confident, and safe. Kimberly was all of those things for me. I loved her energy. When I found out she was the mom of triplets, the wife of a cop, and used to do roller derby, I knew she'd be perfect for me. Nurturing and sweet, but still strong and tough was what I wanted. That's her. Kimberly answered all of my "is this normal" questions during the pregnancy. I had a lot of them. She helped me write a birth plan for the hospital that put my worried mind at ease. When I told her I planned to use the HypnoBabies method to hypnobirth she quickly learned all of the specific techniques and lingo from the program. At the hospital Kimberly made me feel safe and strong. She kept me focused and always reminded me that I was the one in charge. Having her there for me was also good for my husband. During this birth he spent most of the time sitting in a chair with his hands over his mouth. He has told me that it felt good to know I had Kimberly there for me. He was too overwhelmed and nervous to be of much help to me. I won't give you the full play-by-play of my birth story, but I will say that she helped me have an amazing, unmedicated birth. It was an incredible experience and I will forever be grateful to her for talking me through it. Even the doctor and nurses at the hospital commented about how great Kimberly was. They liked having an experienced doula in the room. I still had lots of questions after the birth and she was always happy to answer them. Even though this was my second baby, I had a ton of breast-feeding questions in the first few weeks. She answered all of my texts, emails and phone calls right away. Kimberly is one of the best people I know at making mamas feel good about themselves. She is great to talk to when I am questioning my decisions or parenting practices. Kimberly has become a dear friend of mine. I am lucky to have her in my life, and any woman would be lucky to have her as a birth doula. This has taken me a bit to write as I don't think I can ever fully express my gratitude for Kimberly's support throughout my pregnancy, labor, and postpartum. Kimberly joined our birth team when I become pregnant with my 3rd baby. From the very first time I met her I knew she would the perfect match for us; she just radiates kindness and is so incredibly easy to talk with. I had a rather emotionally difficult pregnancy and Kimberly was there every step of the way; whether it be a simple text letting me know she was thinking of me, a listening ear or a shoulder to cry on she was such an important part of my journey. During delivery she was the calm voice in my ear reminding me of my strength and natural ability to birth my baby. Her presence was so reassuring and I instantly felt more relaxed when she arrived at the hospital. I can still recall her quite voice guiding me; reminding me to breathe and relax through even the most intense contractions. Following delivery she stayed with me when my son was transfer to the NICU and then accompanied me there to attempt breastfeeding the first time. She was an invaluable resource as we struggled to nurse those first few weeks as she checked in often, shared resources, and always had a reassuring word or two to make me feel better about the situation. She played such a complementary role to my doctors/midwife and to my husband that I can't imagine not having her by my side through it all. During my pregnancy whenever I mentioned she was my doula I always heard "oh, I love Kimberly, she's amazing" and I wholeheartedly agree! She is such a wonderful doula and such a kind hearted, genuine person. I will forever be grateful for her support and friendship. Kimberly was a perfect match for us. Her intuition in performing her role was remarkable. She knew what was needed, when to provide assistance, and when to step back. My child's birth process was long and unexpected complications developed. She helped us make informed, rational choices together. The distressing parts that replayed in my mind afterward were softened by the knowledge that the lengthy labor and traumatic surgical birth were not the result of an impersonal medical protocol. We did all we could have done because Kimberly was our expert guide and ally through it all. I strongly feel that her presence may have prevented me from developing PPD or PTSD. I also credit her for the lovely, empowering memories that prevailed. We hired Kimberly thinking that a doula would be "not necessary, but nice to have" and it turned out that she was essential. I can't say enough good things about working with Kimberly. My husband and I moved to Iowa City after living in Chicago for many years. We were 6 months pregnant at the time, and it was stressful dealing with prenatal care as well as settling into our new home and work lives. We met Kimberly while about 36 weeks pregnant, and electing her as our doula was one of the best and most important decisions we made for our family. During our home birth our midwife, Monica, provided excellent medical attention and positive energy. Kimberly was a wonderful compliment and pillar of strength and determination. She was there with me every step of the way, and provided great physical and emotional support as we brought our baby girl into this world. Moving from the big city and building our birth community here in the Iowa City area has been one of the best parts of our pre- and post natal care experience and consider ourselves very lucky to have Kimberly as a part of it! Kimberly is the best. She calmed all my fears and anxieties about my second pregnancy, labor, & delivery. She met with us to discuss at length what happened with my first labor and delivery, so she could understand where I was coming from. Her calm demeanor and knowledgable recommendations really helped me prepare for the arrival of baby #2. Leading up to the birth, she checked in with us regularily, was a great listener, and provided numerous resources when I had questions. On the day of our induction we arrived at the hospital, and she checked in with us as everything was getting started. She arrived when active labor happened and the baby was born shortly thereafter. She stuck around to help with breastfeeding and overall support post-birth. She is a wonderful human, and I would highly recommend her doula services to anyone! I had an excellent experience with Kimberly during my first massage. She was sensitive to my needs, caring and comforting and allowed me to fully relax and enjoy the experience. She gave me ideas of how to work on tighter areas in between sessions due to strain from daily work. I will be referring friends and family to Kimberly and returning for future massages. I wanted to give a father's perspective on what an amazing service a doula can provide and specifically how wonderful Kimberly was in supporting both of my children's births. Kimberly made it a point to meet with my wife and I to make plans before the birth of both children. She was very supportive on helping us develop our plan and was open to whatever we wanted to do. The plan for both children was to try to go natural, which I feared would put me in a tough spot. I wanted to support my wife and the plan we had made together, but also didn’t want to see her in pain and be the jerk that tells her “The birth plan said we would do this first..”, when all I want is for my wife’s pain to go away too. This is where Kimberly came in. She took this burden off of me so I could focus on being there to support my wife and enjoy the experience of becoming a father. She coached my wife through many different alternatives to relieve her pain, so we knew that we had tried everything. Because the pain was great, my wife was exhausted and we weren’t progressing, we ultimately ended up deciding to go with an epidural for the first birth and Kimberly supported our decision. Later that day, we had our first baby girl. The second birth was a much different experience. Kimberly and I teamed up and were successfully able to manage my wife’s pain and succeeded in our goal of natural childbirth. Thanks Kimberly! I can’t thank you enough for your support in bringing our two beautiful girls to the world. Kimberly was and still is an invaluable asset. I cannot imagine giving birth without her. She is a collected and calming presence right from the start. Her support helped build a confidence in me I did not know I posessed. From writing a birth plan to breastfeeding support, she does it all and has a wealth of knowledge in everything that is baby. I am proud to say that Kimberly has helped cultivate me into the mother I am today. Kimberly was our doula for both of our births. Prenatally, she met with us and helped us build a birth plan around what we wanted for our labor and delivery experience. Our first birth was an induction and I was very nervous about being induced with my first labor, especially because my plan was to do it wihtout pain medication. Kimberly met us at the hospital and helped me get into some positions to help induce labor. I labored throughout the day and she was able to provide me short, clear coaching, which was exactly what I needed. She helped me relax parts of my body that I was holding tension in and reminded me to breath through contractions. It was also helpful for my husband. She helped him help me. With her help and support I was able to get through the induction and delivery without pain medication and because of her coaching, never once considered asking for it. Not only was she there the whole day, she followed up with breastfeeding support, which was so necessary and helpful for me as a first time mom. When we got pregnant the second time, we knew we wanted the same expereince we had with our first. Kimberly did an amazing job checking in with me and offering support during the pregnancy. When I went into labor, spontaneously this time, I texted her and she met us at the hospital. Again, she provided unwavering support and helped us through another unmedicated labor and delivery, along with postpartum support with breastfeeding. I cannot say enough good things about her. She is naturally caring, calm, and filled with love. Kimberly is the full embodiment of what a doula is and should be. I am so thankful for her support and love! Look no further, she's worth every penny! I've been meaning to write this testimonial for 10 months. It was our first child and I can't imagine having gone through the labor and delivery without Kimberly. She is such a kind, warm person and her calming manner was exactly what we needed during our baby's birth. We were nervous, first-time parents and went to the hospital much earlier than we needed to go. Kimberly joined us and stayed for the 24+ hours of labor. My husband was hesitant to use a doula at first, but then he met Kimberly and agreed that it would probably be helpful. After our delivery, he couldn't stop talking about how glad he was that Kimberly was there. She's very open to any birth plans you might have and very helpful with breastfeeding tips. She offers a breastfeeding class and runs a support group on Facebook that has been invaluable this first year. We love Kimberly and hope that she is our doula for any future babies we have! ​I'll start with this - hire Kimberly right now! You won't regret it! Going into my third pregnancy, I quesitoned whether I really needed a doula. But I decided to meet with Kimberly and we instantly connected. I felt anxiety about this birth (that I didn't even know I had!) fade away. So much of time is spent caring for my family, it was so nice to have Kimberly checking in with me and being there to support me (and my husband) throughout the pregnancy. She is really a care-taker and nurturer. Kimberly is so knowledgable and has many hats. I loved that I was able to meet with her for pre-natal appointments to talk about the birth, but I also took a pre-natal yoga class with her. Leading up to the birth, Kimberly was in close contact, checking in on my after appointments and answering questions. She always knew the right thing to say, without giving strong opinions. During the birth, Kimberly was such a trooper. She followed me through so many squats, applying counter-pressure to my back and hips. She never once left to go to the bathroom or get a drink or anything - I don't know how she does it. She has some serious stamina! As the end of labor got intense and there were a lot of medical staff yelling at me what to do, Kimberly got right into my ear, and hers was the only voice I could hear - calm and telling me exactly what I needed to hear to relax and do what I needed to do! I felt so supported and taken care of during the entire birth and afterwards. She has a keen intuition and just knows exactly what people need. I don't have enough space to go into how impressed I was with her breast-feeding support as well after the birth and at our home visit. She truly loves what she does and it comes through into her service to her clients. I think the world of Kimberly and think everyone deserves to feel so supported and helped throughout their pregnancy and birth. Kimberly is just such a wonderful, warm person. I met a number of doulas at one of the "meet the doulas" nights, which she was not at, but then I met her at a community event soon after. As soon as I met her I knew she was the person I wanted to support me and my husband during the birth of our second child. Kimberly is thoughtful, considerate, open, loving, intelligent ... I could go on and on. She brings each of these skills/ values/ traits to her practice as a doula, and really focuses on being there to support a family in the labor and birth experience that they want. It is actually amazing how good Kimberly is at supporting a woman’s (and or family’s) birth choices and preferences without at all judging or attempting to influence. It takes a special kind of person to be able to support a family so whole heartedly. Kimberly was so wonderful throughout the labor and birth of our child. She did exactly what we needed her to do (without us even having to ask), and was my rock throughout. I am so glad we chose Kimberly to share with us in our birth experience. Kimberly also gives fabulous breastfeeding support – which we most definitely took advantage of. She came for a visit within the first couple days and gave me the extra tips and support I needed to make breastfeeding successful. She really is loved by all who meet her - and she most definitely plays an integral role in the lives of all families she works with in the Iowa City community. I was recently at a potluck, and after chatting we realized that Kimberly had supported the births of all 4 babies in the room - instant love and connection in that room! I know Kimberly from having the most excellent experience with her as my doula during the birth of my daughter. I already knew from that experience that she is kind, focuses on the needs of her client, and truly understands women and their needs in time of birth. So when I found out she was also doing massage therapy I jumped at the chance to get an appointment with her. I have now had two massages with Kimberly and I very much intend to make it a monthly occasion. She took time to listen to my needs and expectations before we started. She was respectful of any boundaries I choose to set. It was a wonderful experience both times. I left feeling relaxed and much, much better then when I went into the appointment. I highly recommend Kimberly for both her doula and massage therapy work. You can't go wrong with a visit to Kimberly. Kimberly was recommended to us by three different friends who had worked with her, and we felt so so lucky that we were able to work with her. From her first visit to our home it was clear that she has a true passion for this work and is extremely knowledgeable about the pregnancy, birthing, and postpartum processes. We felt so comfortable with her immediately, and appreciated that she would be supportive no matter what our birth preferences would turn out to be. She welcomed us to contact her with questions anytime, even during pregnancy and post partum periods, and when we did she was always quick and caring in her responses. During labor and delivery she was an invaluable support, from running a lovely bath with aromatherapy in the L&D unit to ordering food and feeding both me and my partner after baby came. She helped us with the first breastfeeding and stayed until we were stable and ready to move to the Mother Baby units. I don't know what we would have done without her. During the postpartum period she made several visits to our home to see how nursing was going, including once last-minute on a weekend (!) when I was having major difficulties. I texted her so many times with breastfeeding questions and again she was always super helpful, quick, and caring. Overall, we would highly recommend Kimberly and are very grateful for everthing she has done for us. Alhough this took me 8 months to get this to you. It’s not because I couldn’t find the time. It was because I couldn’t find the words worthy enough to thank you. I look at my beautiful little boy and have such wonderful memories of my pregnancy and delivery because of you. I will never forget Abe’s face when I told him I wanted to have a Doula for my pregnancy and delivery. He looked at me like I had horns growing out of my head. Even throughout the pregnancy having to explain over and over why I made the choice to have a Doula, he never seemed to really understand. Flash forward a few months to the delivery room. After the first “real” contractions hit he finally understood. The pain I was experiencing was only going to be understood by a woman who had been there herself. Knowing that you had experienced the same feelings somehow made the pain a little more tolerable. I truly have happy memories of us sitting there just chatting about anything and everything to help the time pass. Even the little things like you helping me brush my hair and put on mascara so I could look somewhat presentable for pictures are things I am so thankful for. Speaking of pictures, thank you a million times for capturing our special moment. They are beautiful. After delivery everything was such a blur but now all I have to do is look at the pictures and I get to relive all those moments again. Knowing that I could call you at any hour with questions was so comforting. I knew I could Google just about any question, but having you there to say “this is totally normal” was such a relief. During labor, having you there to say “this is what is going to happen next” or offering different methods to lessen the discomfort. As we learned the hard way, you are not guaranteed a good delivery nurse. But with you there it didn’t matter. I got to have a friend as the best coach. In turn my husband could try to relax some. No parent ever wants their child to have to spend time in the NICU but that was a bump in the road that we had to experience. A parent that is blessed to get to take their healthy baby home after the normal stay in the hospital won’t fully understand all of the different emotions that go along with a baby that has to spend some extra in the hospital. You understood my pain because you had been there before. I didn’t have to put on my brave face for you. When I said “they don’t get it, no one gets it” you understood what that statement meant. Only a parent that has been there would. Thank you for being patient with me, thank you for being so compassionate, and thank you the most for being a wonderful coach and friend. You are an amazing soul Kimberly and I am so proud to have shared the most wonderfully beautiful moment of my life with you. 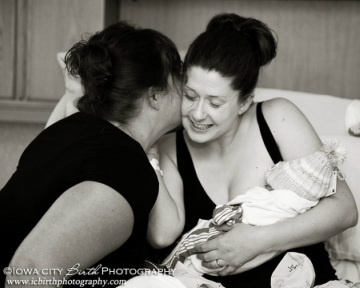 ​It’s hard for me to even find the words to describe how wonderful it was to have Kimberly as our doula. From early on in my pregnancy, it was so nice to have someone to go to with questions and concerns and be reassured that was I was going through was normal, and to get advice from someone who had been there before. When I experienced a few minor complications towards the end of the pregnancy, Kimberly was always there to listen and comfort me, which was so appreciated. When the big day (more like days!) arrived, I texted and called Kimberly what felt like countless times for advice (even at 4:30 in the morning!). She knew just the right things to say to help me through my contractions and having here there made everything so much easier even though I had been in labor for almost two days and was extremely exhausted. It had been my intention to have a non-medicated birth, however, when I decided to receive the epidural out exhaustion, Kimberly was nothing but supportive. Never once did I feel like I was letting anyone down by choosing this path. She made it clear that it was MY birth and MY decision to make and supported me all the way. Both my boyfriend and my mom made several comments that she put them at ease and made them feel more confident in helping me through my labor. In fact, my mother (who had never even HEARD of a doula until I hired Kimberly) couldn’t stop saying how great Kimberly was and how awesome it was to have her at Marshall’s birth. After Marshall’s birth, Kimberly helped me so much with initiating breastfeeding. She stayed until several hours after his birth to make sure that we were confident before she left. At our follow-up meeting at my home a few days later, she was able to help me work through a few more breastfeeding issues and talk about Marshall’s birth. It was so nice to be able to kind of “debrief” his birth, especially since it didn’t go the way I had planned. Marshall is now 6 weeks old and Kimberly continues to check in with us to make sure everything is going well with breastfeeding. This has truly been invaluable – it is so easy to get discouraged and it is great to know that someone is always in your corner. I would recommend Kimberly to any expecting mother who is interested in having a doula at her birth. I can’t say enough about how caring and helpful she has been every single step of the way. Her presence at Marshall’s birth made it even more beautiful and special! Having a Doula is one of the best choices we made during our pregnancy, having Kimberly as that Doula is the best decision we made. I know this may sound weird coming from the partner of a pregnant woman but I don’t know that I could have done it all without Kimberly by my side as well. On top of providing excellent care and support for my fiancée Sydney, Kimberly was also extremely helpful to me. Pregnancy is much more difficult on the partner than I had ever imagined. Seeing someone you love going through childbirth and being in such pain is incredibly difficult to stomach. There were times when I was unable to speak and that is exactly when Kimberly jumped in to be my voice. She was able to communicate to Sydney and to the medical staff when I was choked up or confused or just plain speechless. Throughout the months leading up to our son being born Kimberly made sure she was always available to answer questions, provide feedback, or just be an ear for us to talk to. Not once did she make it seem like we were being a burden to her in any way, even with the 3 am text messages asking the same questions I had asked probably a month prior. She always had positive and encouraging things to tell us no matter what the situation was. If you’re considering getting a doula and aren’t sold on the idea yet, let me assure you it is the absolute best investment you can make for you, your spouse, and your child(ren) during this time of your life. Sydney’s beginning labor occurred overnight and Kimberly was quick to reply to any and all messages/calls we made to her during that time. She was in constant communication with us from the moment Syd said she thought she was in labor until the point we asked her to come to the hospital. She showed up to the hospital as soon as we requested and immediately provided soo much love, care, & support that it helped both of us relax instantaneously. I honestly would never consider having another child without having Kimberly by our sides! The support she is providing after the birth of Marshall has also been excellent. Kimberly has been integral in the success of my fiancée exclusively breastfeeding our son for 8 months now (and still going strong). She has become much more than a doula to us, she is a definitely a friend of our family and always will be! Kimberly is an extraordinary doula. As first-time parents, we were anxious about birth and had endless questions about what to expect, what to do, what choices we had, and what to hope for. Working with Kimberly set us as at ease and allowed us to relax into the birth. With Kimberly’s expert, generous, and gentle support, we were able to have a joyful and loving birth at the UI Hospital. Kimberly was our rock. She taught us to trust ourselves. As the birthing mom, Kimberly taught me to listen to my body and rely on its wisdom. And as the support partner, Kimberly gave me a repertoire of concrete ways to support Jenna and participate in the birth. She was always available to us and provided helpful guidance and evidence-based advice through the pregnancy, in labor, and in the tender first days of parenthood. She is a truly wonderful lactation counselor, and we fully credit our comfort and success with breastfeeding to her familiarity with current research and her expert teaching. Really, we could not have even dreamed up a doula as wonderful as Kimberly. She surpassed every hope we had, and we are so happy that her hands were some of the first to touch our son as we welcomed him into the world. Kimberly was an integral part of my successful homebirth after cesarean (HBAC) in September 2014. From the moment I met her, she enveloped me in a circle of support, confidence, and warmth and made me feel more secure in my decision to give birth at home. When we met a few times prior to the birth, Kimberly asked me questions to get me to think about what I might find comforting during labor and she recorded my ideas for future reference; I was impressed with her forward-thinking approach and it encouraged me to collect music, mantras, and other comfort measures ahead of time. As my due date approached, Kimberly checked in on me regularly and made sure I knew that she was there for me at any time and with any concern - it was clear that we were a team. On the day I went into labor, I experienced a long period of prodromal labor (irregular contractions that made little progress on dilation) and, while I didn't ask Kimberly to attend to me right away, she stayed connected with me and my husband via text until the real deal began. My most vivid memories of working with Kimberly during labor was during the pushing stage: she coached me on breathing and making noises that would most contribute to effective pushing, and repeatedly but gently smoothed her hands over my shoulders to get me to relax. Her touch made a big difference and helped me focus on the task at hand. After my son was born, Kimberly rejoiced with me at his arrival and for having a successful HBAC - her enthusiasm and gentle presence were a perfect contribution to my baby's first moments earthside. I have since continued to receive support from Kimberly in the form of breastfeeding counseling and she has helped me problem solve a few issues with my son's latch. I highly recommend Kimberly's doula services to any couple. Talk about being in good hands! I feel so lucky that Kimberly is now a licensed massage therapist. My massage today was incredible and I'm already booked for next month. Thanks, Kimberly, for expanding your talents and offerings to include massage. I am in. I was very anxious about pregnancy and birth, and Kimberly came highly recommended from a friend who knew my situation. Always professional and supportive, Kimberly helped me work through my apprehensions and provided excellent care. My husband was so thankful that we had Kimberly with us for the birth of our first child, as the situation was stressful for him as well. I would highly recommend Kimberly to anyone looking for a support person during pregnancy and/or birth and I will definitely have her with me if I have another child! Of the decisions we made in pregnancy & childbirth, asking Kimberly to be our doula was the best one. Professional: Kimberly knows her craft, and knows it well. She is trained and certified in various aspects of pregnancy, birth, and childcare—from hypnobirth to breastfeeding and prenatal yoga. She offered guidance in writing a birth plan, resources to prepare for an unmedicated birth, and regular emotional support. Her professionalism is also reflected in how she conducts herself with her clients. She is reliable and responsive—even in the wee hours of the morning or evening, Kimberly responds to any question or concern with patience, compassion, and support. Compassionate, Open-Minded, Affirming: We will never forget one of the things Kimberly said at our first meeting: “there is no right way to birth.” This was the moment we knew Kimberly was the right doula for us. We wanted a no-to-low intervention birth, but also knew that sometimes things don’t go according to plan. As it happened, our birth was amazing and perfect, but also complicated by factors beyond our control. 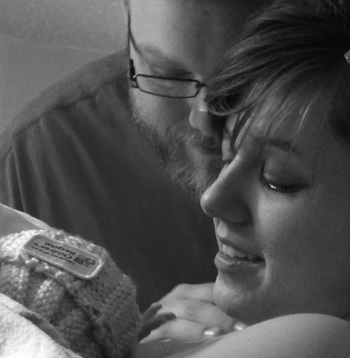 These complications made unmedicated birth virtually impossible. Knowing that we had a compassionate, non-judgmental doula willing to help us work through it made all the difference in the world. This is also reflected in Kimberly's ability to work with a range of families. As a mixed-race, queer couple, her cultural competence and open-mindedness made us feel right at home and welcomed into the world of parenting. A few other things: Without Kimberly, we would not have been able to labor naturally for as long as we did. She provided invaluable emotional support and a range of positions to assist us in labor. When we had to change course, Kimberly was positive and reassuring. She taught us to trust the body and our instincts. What a gift that was! And what a gift Kimberly is! As a physician, I knew a lot about the medical aspect of birth but my husband and I wanted someone present at the birth of our first child who could walk us through each stage of labor and provide us with emotional support. Kimberly did just that. From our first meeting, I felt she was emotionally sensitive and intuitive. She listened well and I felt quickly understood who my husband and I were as individuals and as a couple. she didn't have any ideals based on what Birth should or should not be. She was incredibly supportive around the few ideas I did have about my ideal labor and more importantly was able to ask me/us questions to help us further discern what was really important. I'm convinced my labor went smoothly because of the role Kimberly played. She was available to me 24/7 via text/phone and the weeks leading up to our daughters birth she answered lots of questions for me. On the actual day I went into labor, my husband was able to text with her and help us decide when it was time to head into the hospital. Throughout labor, Kimberly was by our sides - holding my hair back, helping me in and out of the bath, offering encouraging words to help me continue to labor. For my husband, she helped him feel more comfortable in the delivery by checking in to see how he was feeling, and helped him navigate how to best support me. Post delivery, Kimberly stayed with me and gave me sips of water, Chapstick and held my hand while my husband went with our daughter to the Nicu becau she needed further medical attention. She stayed to Help me with our first attempt at breastfeeding, and helped us get settled in our post partum room. But her services didn't end there, our daughter is just a week old today and Kimberly has already been to our house to check on me and help troubleshoot breastfeeding issues. She continues to be available for my questions and is a wonderful source of support. I would recommend her services to anyone. Words can't sum up the experience that I was so fortunate to have working with Kimberly. Looking back on the pregnancy, delivery, post-partum period, and even today, I feel so deep within my soul that finding her was meant to be. ​From a very primal space in our being, we're ingrained to be surrounded and supported in these huge transitions that occur in pregnancy, during labor, and after. She was always more than there for me. She connected my primal birth giving abilities with my primal need to connect and feel surrounded by love and support. Kimberly's ability to support mothers in pregnancy and childbirth is a true calling. She was meant to do this. You were meant to find her. Kimberly's focus during every prenatal visit, every phone call, and even every text, was completely on me. When I asked for support or suggestions, she empowered me with resources. I wasn't told what to do. She taught me to work with my body, to educate myself, to lean on her when I felt the primal urge to feel connected. She was a constant voice, reinforcing that I was loved...and powerful. You and your baby deserve to have the best, and she's the best. The BEST. Kimberly is not only an excellent doula, yoga instructor and lactation consultant but also a great friend. She was always there to support me before, during and after the birth of my baby. She was excellent at providing the emotional support I needed to get me through the difficult times. She has a wide range of knowledge and is great at using her resources to get you whatever help you need. I would highly recommend Kimberly to any expectant mother. We worked with Kimberly for the birth of our first child, and she was amazing, and we needed her in ways that I didn't anticipate. I wanted to have a natural birth, but I didn't want to feel like the epidural wasn't an option--and some doulas we talked to made me feel uncomfortable because of that. I needed a doula who would support me unconditionally, and who would be an advocate for me, not for her own beliefs on the politics of birth. From the first moment we met Kimberly, she made us feel 100% supported and loved, whether we had a natural birth or not. My husband and I wrote our own hypnosis script to help with pain management, and Kimberly was immediatly on board with it. Kimberly has experience working with hypnosis and gave us very important practice tips that greatly added to the effectiveness of the hypnosis. The hypnosis script was so successful that I entered transition at home without realizing it. Talking with Kimberly over the phone, she was able to identify that labor had progressed and that it was time for us to go to the hospital, so she met us there. I wouldn't have known it was time to go the hospital without her telling me. The birth was beautiful, and we are so thankful that Kimberly was there helping us. What I didn't realize when we decided to work with Kimberly was how much we would need her breastfeeding supprt. Breastfeeding was WAY more stressful than I had ever imagined, our daugher lost too much weight in her first two days of life, and I was so sleep deprived I didn't know what to do. Kimberly came to our house, instructed me in the milk shake, reminded me to have fun, and helped me feed our daugher. Without that post-birth meeting, I do not think we would have been successful with breastfeeding. Ten months later, we're still going strong with breastfeeding, which was key in helping my daughter get through bronchiolitus at 9 mo. The ripple effects of Kimberly's support are still present for us. Kimberly was amazing, prenatally, to postnatally. She visited our house several times before the birth, always offering support, education, & care. At the actual labor/delivery, she was strong when I couldn't be. It was a very difficult & long labor, & she was there when I needed her to be, & knew when I needed a break & to just have time with my husband to work through the pain. Often times, she enouraged me to "breath through the contraction. Don't fight them, relax". My instinct was to tense up & almost fight the pain, & if it wasn't for Kim, I would have had a much more painful experience. She was supportive but not overstepping at all. She asked the midwife & nurses questions several times, absolutely advocating for me when I was unable to. She was a warm & loving & POSITIVE, strong influence for me, & I never felt like she was overbearing, & she never disappeared unless I needed her to. Kimberly was amazing. I could not have gone through all of the pain & anxiety if she hadn't been there. I would, will & have recommended her to my friends. Thank you, Kimberly. Words aren't enough to express how thankful we are for you. You made my birth experience a more positive one. Having Kimberly as part of our birthing team was one of the best decisions we made. The support she provided throughout our pregnancy, during labor and delivery, and post partum was wonderful. This was our first baby so having someone who was so knowledgeable, compassionate, and kind helped ease my anxieties. She and my husband worked together beautifully throughout labor and delivery. I was able to have an amazing birthing experience that I largely attribute to her gently coaching, advocacy, and loving presence. Her support and guidance with breastfeeding was also extremely helpful. She helped baby and I start off in the best way possible and having her make a home visit provided much needed reassurance in those early days. I am so grateful for the support that she provided to us throughout this amazing journey!